Dave is shopping for a new lab/workspace. He wants to be able to include mechanical elements like a laser cutter and a drill press. The current space isn’t well ventilated enough to even use a reflow oven (though he still does sometimes). Chris started working part time at Supply Frame, the company that owns FindChips.com and Hackaday. Chris will be helping develop new tools for engineers to navigate the supply chain. This is why he’s been traveling more and will continue to travel. Because Session 1B of Contextual Electronics started recently (the building portion), Chris will likely need to build while on the road. If building on the road, a portable lab will be required. There are some great builds already out there by Ben Heck and across the web. But what about protecting your stuff while going through security? Steve Hoefer has written in the past about taking your stuff through as a carry on. Another option is to be allowed to lock your bag…by packing a gun? Kind of a crazy lifehack, but it works! There are very well defined processes on US airlines for registering and checking a bag with a gun in it. Dave actually would consider using a tablet based scope (as would Chris) when creating a portable lab. Another benefit is you could use a new simulator with a nice UI called EveryCircuit. It shows current flow and helps people learn circuits. The Nest production is on hold because waving your arms can shut off the smoke detector without knowing it. The Fuel Band team was laid off and Nike is getting out of wearable hardware. They won’t be the last company to bail on the “hot” market of wearables. Sick of doing laundry? UC Berkeley is using a PR2 to develop a laundry folding robot. Chris has been reading The Second Machine Age (and won’t stop talking about it). Much of the computing surplus will go towards robotics and human replacement…which will allow us to work on harder problems. A recent infographic shows the extent to robotic deployment in 2014. This year the Open Hardware Summit will be in Rome! Chris will be attending Electronica in Munich Germany. It likely will be a little far for Dave to attend. If you happened to be at Maker Faire Shenzhen, there was a workshop on how to reball BGA parts by hand! The workshop was set up by Dangerous Prototypes, who also recently started a service that can layout your boards and get them made for low cost. Will layout designers be out moded by fancy software? No. Next week on the show, we’ll have LTSpice guru Mike Englehardt. You can ask him questions over on our subreddit. I would be careful about packing a gun into your portable lab. You might be able to get through airport security easily, but once you’re on the ground you will need to be very aware of the local gun laws. In some areas you can’t be within a certain distance from a school, inside a restaurant, etc. with a gun. 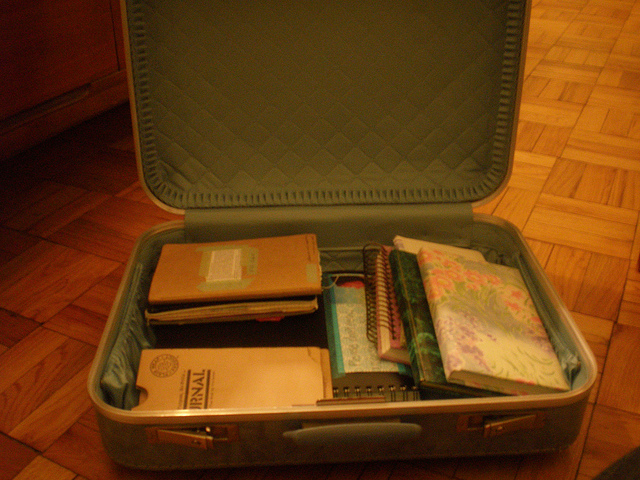 I would just organize stuff really well and pack it in a checked bag. I have to say…when I travel, I’m not usually hanging out near schools nor inside restaurants with my lab gear. I get the sentiment and I appreciate the concern, but this is all just posturing and pointing out the absurdity of the situation in order to guarantee a bag gets there without incident. So thanks for putting the volume control back on the audio player, but there are still some issues with this player. When I start the stream it tells me there is 1:16.34 but when I get to say 41:00 and slide it over to 43:00 it skips to the end 1:16. Is the audio stream 1:16 and am I missing something or is this a bug? About the Nest thing, I worked many years in home automation in high profile homes and designed and deployed very complex systems, integrating light, shades, audio, video, etc. with GUIs in touch panels, tablets and smartphones, but, always, wired keypads (with real buttons) having the basic functionalities were installed in intuitive locations such as where light switches normally are. This was because of two main reasons, first, so that anyone such a guest or whoever could operate lights and systems in normal way, and second, because of reliability. If you rely only on the el cheapo wifi conectivity to control the lights, be prepared to sleep with the lights on. Also, it is crucial to understand limits on what should be integrated and what not. For you internet/office situation you might try looking for office building that had a floor converterted into a datacenter. You should be able to get an uplink from a backbone proivider or local isp. Most datacenters you can get a 100m or greater connection for under $100. Dave, if you are looking at moving, there is one thing you are going to miss. The junk room in your building. This should be on your wish list for your next place. I recently setup an updated lab for myself and it is much more efficient. I wish I could get some time away from my work to go to any of the robotics events. I’ve always wanted to see the new creations in-person. Bragging about having a window in your cubicle isn’t nice. May you boss have pointy hair!